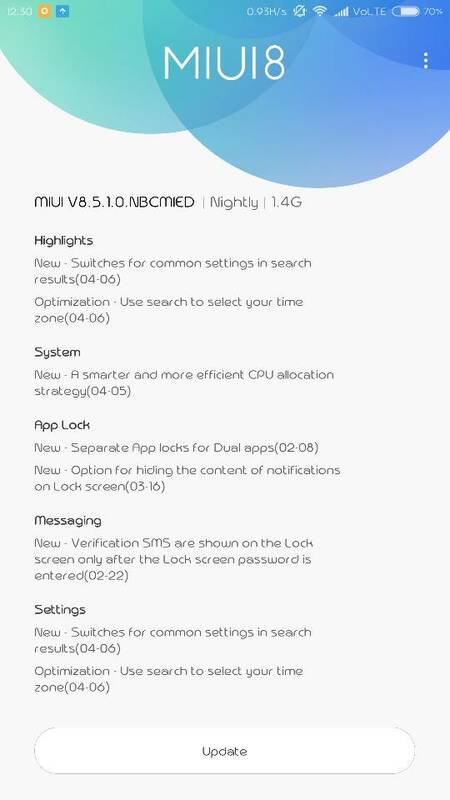 Xiaomi has started rolling out Android Nougat Update for Mi Max 3GB RAM model in India. 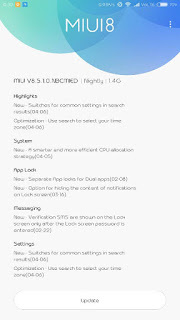 The Build MIUI V8.5.10.NBCMIED and update is 1.4GB which is nightly updated Stable Update rollout Soon. Nougat Update brings App lock for Dual Apps, New system, messaging and more. 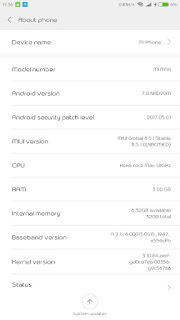 Mi Max features a 6.44-inch screen with a resolution of 1080 x 1920 powered by a 1.4 GHz Hexa core Snapdragon 650 processor coupled with 3GB of RAM and 32GB of internal storage which is further expandable up to 128GB with MicroSD card. On Camera Mi Max has a 16 Mega Pixel rear camera with dual-tone LED Flash, PDAF which is similar to on Redmi Note 3 and a 5MP front facing camera. Device measure 173.1×88.3×7.5mm and weights 203g. Mi Max has a Fingerprint Scanner on Back and IR Blaster. On Connectivity it has a 4G LTE with VoLTE, Wi-Fi 802.11ac (2.4 / 5GHz), Bluetooth 4.1, GPS + GLONASS. 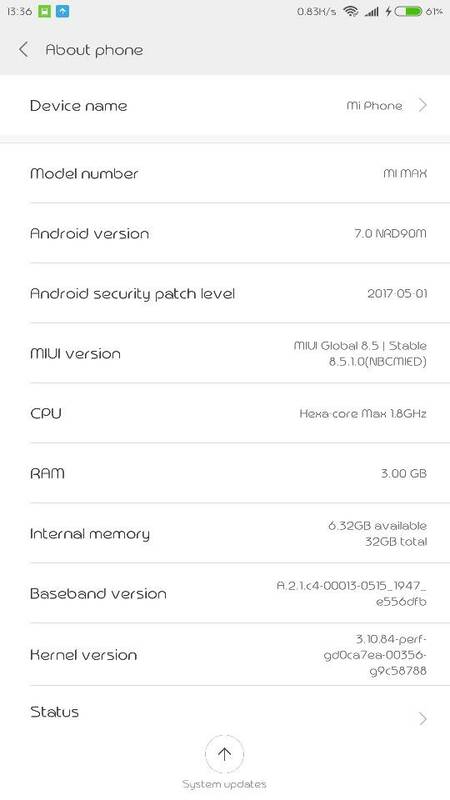 XIaomi Mi Max is packed with a 4850mAh Battery.